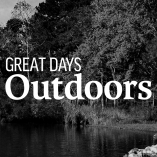 Check out this month newest gear for all your hunting and fishing needs! 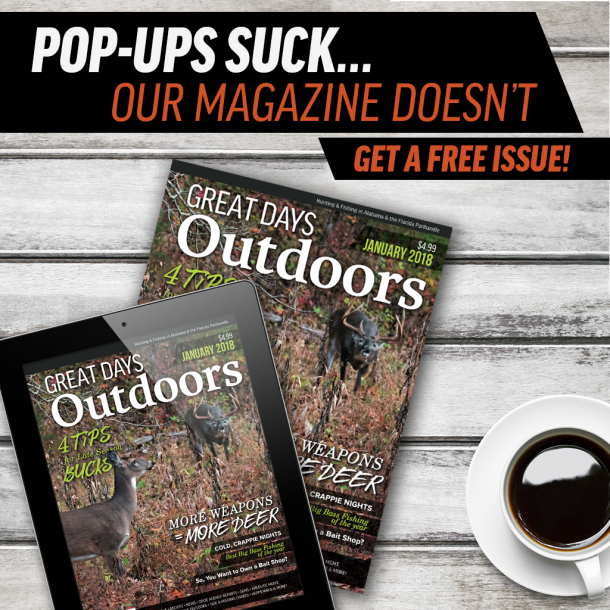 Comfortable concealment, whether hunting with gun or bow, means more time spent on the stand and more success as a hunter. The natural tone of the light brown exterior helps blend your blind into any environment, while the black interior reduces your visibility to outside eyes. 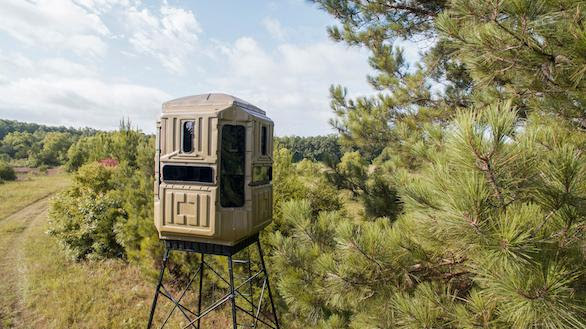 Bowhunters will benefit from the extra large vertical bow windows on each corner and 7-foot height clearance that allows you to shoot from a standing position. 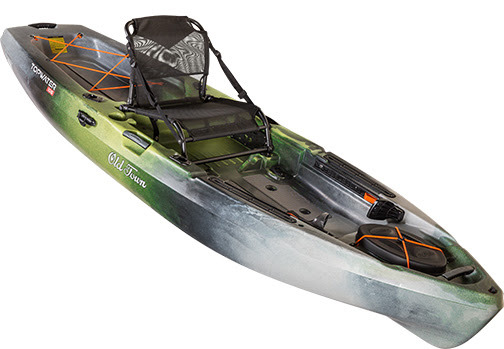 Old Town’s latest offering to the Kayak market promises a stable stand-up fishing platform with thoughtful onboard tackle and rod management and a revolutionary universal transducer mount. 2 paddle versions, the Topwater 106 and Topwater 120 are available and a pedal-driven model, the Topwater PDL offers an option for those that like to remain hands free for rippin lips. 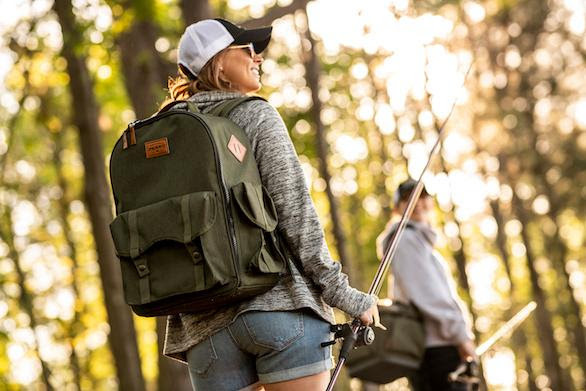 Smaller in size and weight, the Topwater series is designed to be transported without the need of a kayak trailer to allow the angler to reach more water effectively. Models start at $899.99 and more information can be found at www.oldtowncanoe.com. NavPod, the leading manufacturer of waterproof housings for marine electronics, has an all-new product line – the PedestalPod 70 Degree. 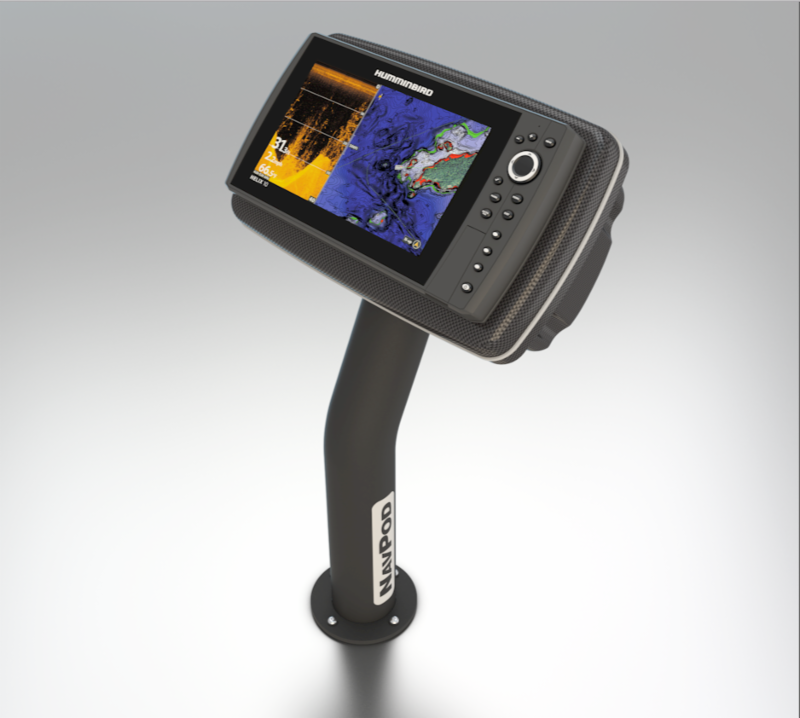 The new line is specifically designed for the protection of marine electronics on the bow of sportfishing boats. Like all NavPods, designed to resist impacts, vibration and moisture ingress, and are crafted with a thick gauge, UV stable acrylic capped ABS material that is built specifically with structural rigidity in mind. The NavPod housing incorporates a double gasket system that provides an excellent watertight seal to keep spray off of electrical connections, thus ensuring the reliability and longevity of marine electronics. For more information on NavPod’s wide range of mounting solutions for inland fishing, offshore power, and sailing, please visit www.navpod.com. Mossy Oak’s Bottomland pattern will be on the new Beretta A400 Xtreme Plus 12-gauge shotgun. Waterfowlers hunting flooded timber understand the necessity of a shotgun that blends in; the last thing a duck hunter wants is to be exposed by their firearm. 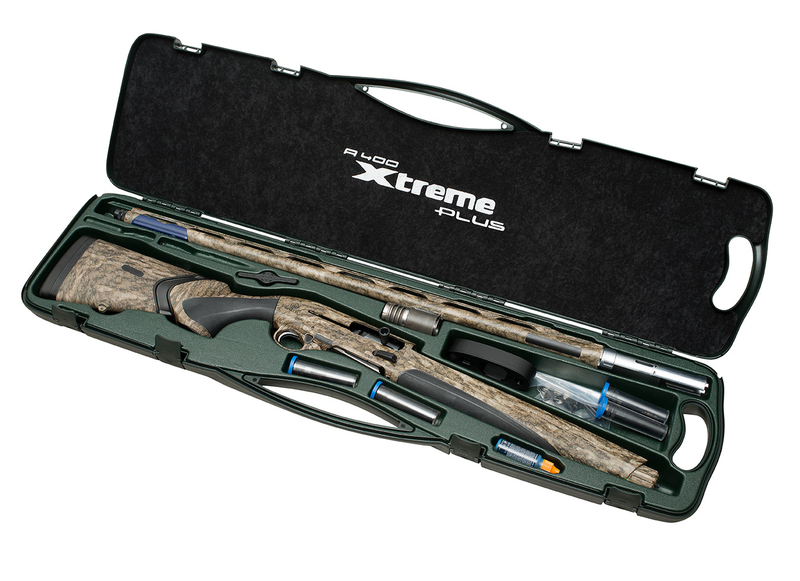 The A400 Xtreme Plus is meant for those waterfowlers. In addition to its waterfowl-friendly finish, it boasts a 14-inch forcing cone for superior reduction in recoil, enhanced patterning, and improved range. That feature in conjunction with its 3 ½” chamber and Beretta’s Optima-Choke HP choke tubes and signature Kick-Off Mega system make the A400 Xtreme Plus a soft-shooting, accurate shotgun ideal for both hunters and clay-shooters. Recently awarded the 2018 ICAST Best New Saltwater Soft Lure, LIVETARGET has unveiled the Fleeing Shrimp, a compelling shrimp imitation that combines a biologically-precise profile and anatomy, a dynamic color palette, biomimetic action and robust saltwater components. The LIVETARGET Fleeing Shrimp is a soft lure that uniquely replicates the appearance, action, sound, and even the scent of a living shrimp. Anglers can drag the Fleeing Shrimp along the bottom, work it back to the boat with big hops, or even swim it through the water column. No matter the retrieve, the Fleeing Shrimp looks and acts just like a living shrimp, trying to escape its demise, would look and act. Find this new standard in shrimp lures at retailers in two lengths and weights, complemented by eight ultra-realistic color patterns, with MSRP $9.99. You’ll be able to tie a LIVETARGET Fleeing Shrimp onto your line in late fall 2018. Visit livetargetlures.com. Each kit includes an Original LensPen to clean lenses on DSLR cameras, binoculars and spotting scopes; a MiniPro for cleaning action camera lenses; a FogKlear anti-fog cloth; a MicroKlear microfiber cloth; and a nylon zipper case that holds everything and fits right on your belt. The Original LensPen and MiniPro clean in two simple steps. First, use the retractable natural brush to remove any loose dust. 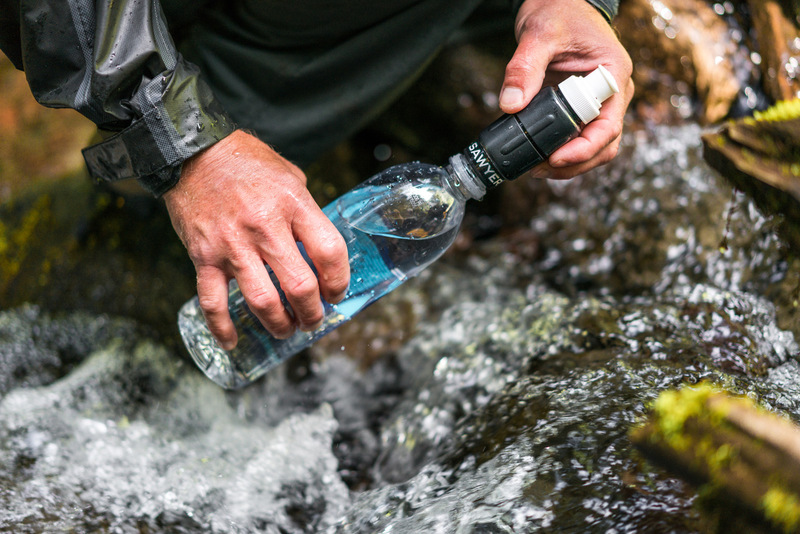 If fingerprints remain, twist the cap off on the other end and use the carbon-infused cleaning tip to completely clean the lens. This simple two-step process has been safely and effectively cleaning lenses and other fine optics for 25 years. 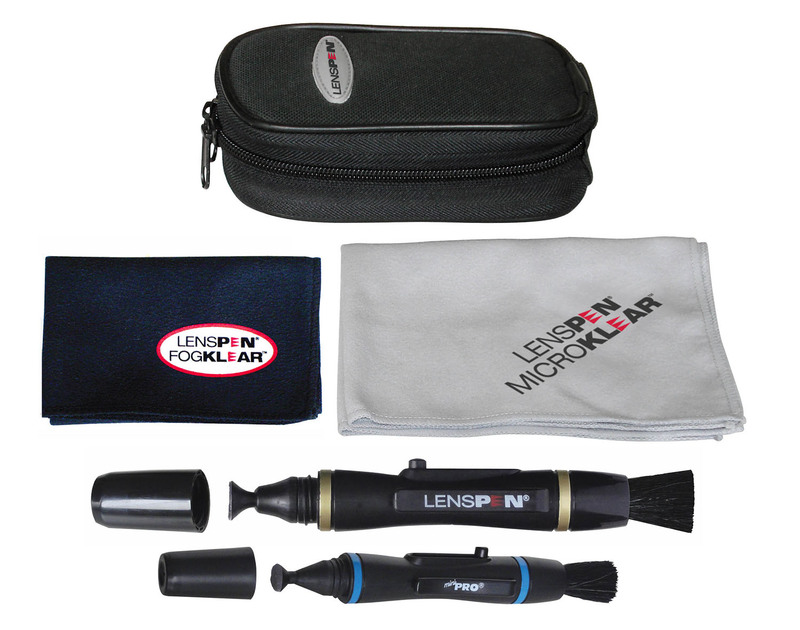 LensPen products are available at Amazon, Best Buy, Cabela’s and other fine optics retailers. They’re environmentally friendly, effective in desert heat or arctic cold, and have no expiration date. For more information on OutdoorPro and other LensPen products go to www.lenspen.com.